Why do team members leave you? No one wants to work for an overbearing, ungracious boss. At the same time, a toxic co-worker can turn a great employee into an ex-employee. Top-shelf employees will not tolerate forever being dragged down by others who break the rules or don’t pull their weight without consequence. Years of schooling. Years of practice. Years of hiring and firing. Yet, many hospital owners and managers haven’t learned a minute’s worth of staff management skills. Meanwhile, statistics show that 1 in 5 of your employees is actively looking for new employment behind your back. You might, consciously or not, tell yourself that it’s nothing personal. The truth is, people don’t leave poor jobs. They leave poor managers. Stellar employees leave because they just can’t take it anymore. Most times, they’ve tried to bring the issues to your attention. Yet they can’t make themselves heard. They eventually reach the point of no return and quit. Some staff members work well under pressure and show few signs of stress, but that situation doesn’t necessarily mean that they’re not feeling overwhelmed. The irony of productive and reliable workers is that they tend to always be the go-to people, so their plates keep filling up more and more. Excessive workload and long hours contribute to fatigue and burnout. Once employees have reached this stage, they often throw in the towel and decide to move on. According to a Stanford University study, productivity per hour decreases drastically for those who work more than 50 hours a week. Just because you’re a workaholic doesn’t mean your staff is, too. Working hard is not the same as being a workaholic. Endlessly invading your employees’ personal lives when a work-related issue crops up and expecting them to accept your calls isn’t wise. Everybody needs time to recharge, reboot and recover. We all have things we want or need to do. If you’re constantly barging in on your employees’ free time, how can you expect them to perform at their highest level? Take a step back and allow your staff to have a life. Unless a true crisis has erupted, your “emergency” likely can wait until tomorrow. One of the most important duties a manager or a leader needs to do is find, interview and hire talented people. Another important task is to then allow these people to do their jobs. Nothing is more aggravating to staff members than a micromanager. Your employees passed the rigorous screening before they were hired, but they wonder why you don’t trust them. If employees think you don’t trust them to do their jobs correctly and completely, then what motivation do they have to go above and beyond? Burying them in endless rules and changing policies can stifle their ability to find new and more efficient ways to do their jobs. Speaking of growth, do you provide your staff with the opportunity to improve their knowledge and skill set? Because they have a licensing requirement, doctors and nurses attend continuing education events. But what about your veterinary assistants, managers and receptionists? Any valuable team member can become more valuable by learning more. Receptionists can always learn more about communication and customer service. Assistants can always learn more about Fear Free restraint, efficiency and communication. Managers can always learn more about leadership, motivation and emotional intelligence. A great way to reinforce what your employees have learned is to encourage them to share their newfound knowledge shortly after they return from a conference. Another way to train your staff is, of course, the classic “lunch and learn.” Vendors and pharmaceutical companies can provide great topics and speakers. Invite as regularly as possible. Do your staff members feel genuinely appreciated? Have you done anything recently to show them your appreciation? Gratitude is one of the easiest and least expensive ways to help employees feel valued. Yet according to Dr. Gary Chapman, co-author of “The 5 Languages of Appreciation in the Workplace,” 70 percent of employees say they receive no praise or recognition at work. In addition, 64 percent of people who quit their job say they left primarily because they didn’t feel appreciated. Yet their managers and leaders typically push back: “I tell them I appreciate them all the time!” Even if that were true, only 40 percent of your employees hear your verbal gratefulness. The remaining 60 percent speak a different “language” and therefore do not perceive your statements. Regularly connecting with each staff member on a personal level and checking on their thoughts, feelings and concerns can make a difference in how they feel. So, be approachable. Let your employees know — and truly mean it — that they can come to you if they need to talk about anything. Reward growth, achievements and accomplished goals. Encourage your staff members to reach higher, and push them to be better. Time invested in staff is never time wasted. Potential recruits can be so sparse that we often joke about hiring anybody who has a pulse. Sadly, we don’t merely joke about it; we actually do it. Of course, some job markets can be tighter than others. Top veterinary practices use personality tests to ensure that a new employee will fit the culture. They make sure that employee personality traits are as good as their skills. Multiple personality tests are available, from DiSC and Myers-Briggs to the Culture Index and StrengthsFinder. Is there a weakest link on your staff? Might you have someone on your team who weighs down the rest of the crew? Top-shelf employees will not tolerate forever being dragged down by others who break the rules or don’t pull their weight without consequence. They would rather find a team where the other members work as hard as they do and their work is rewarded. Consider cutting the weaker member loose and allowing your top employees to continue to shine. Personal accomplishments, such as finishing a marathon, having a baby or getting married. Professional milestones, such as earning a degree or certificate, learning a new procedure or completing all assigned employee reviews. Business successes, such as a new hire coming onboard, a work anniversary or reaching a certain production goal. You don’t have to break the bank every time somebody has a breakthrough. Depending on the employee, a simple mention, a standing ovation during a staff meeting, a thank-you note, a funny award or a small gift certificate are nice gestures that show you care. Sometimes, a valuable employee leaves not because of you or your practice but because of a direct supervisor. Whether they embark on ego trips, take all the credit or treat their underlings as dirt, supervisors can knowingly or unknowingly drive people to quit. Few practice owners or managers conduct exit interviews. 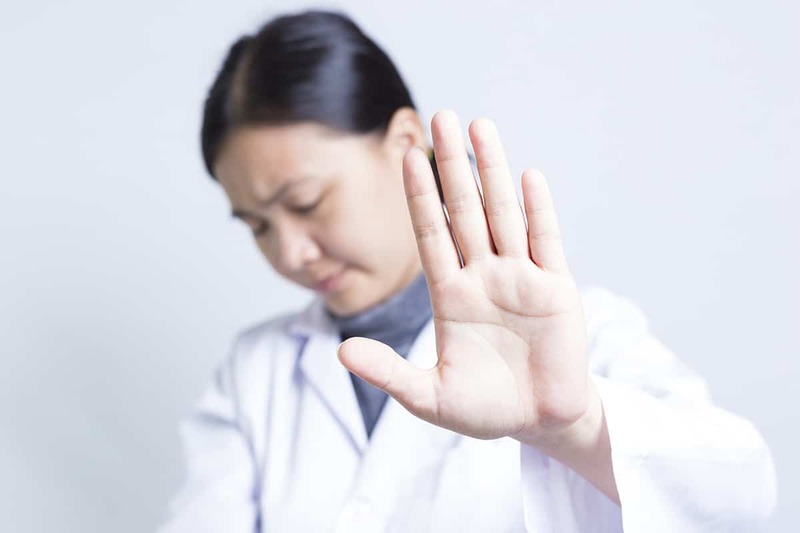 Although these sessions can be painful when an employee shares an uncomfortable truth, exit interviews can reveal problems in your practice that you might not be aware of. If you hear the same complaint several times after “good people” quit, believe what they say. Maybe they can’t stand the office manager, your temper tantrums, a colleague or a supervisor. Believe them. As a traveling surgeon, I hear all kinds of complaints, big and small, shared by anesthesia technicians. Grievances are strikingly similar from practice to practice: a lack of appreciation, micromanagers, bullying by a supervisor, lazy teammates, toxic employees. One recurring theme is a lack of trust. Some of our veterinary colleagues don’t allow their credentialed nurses to place IV catheters or intubate patients. If your turnover is high or you feel unhappiness among your staff members, use the suggestions above to prevent or stop the hemorrhaging. Dr. Phil Zeltzman’s traveling surgery practice takes him all over eastern Pennsylvania and western New Jersey. He is Fear Free certified. 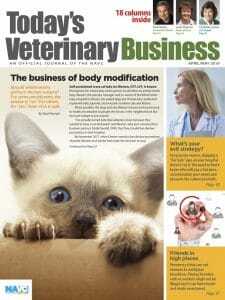 Kat Christman, CVT, contributed to this article.